ELA.RF.2.3: Know and apply grade-level phonics and word analysis skills in decoding words. ELA.RF.2.4: Read with sufficient accuracy and fluency to support comprehension. ELA.RF.2.3f: Recognize and read grade-appropriate irregularly spelled words. 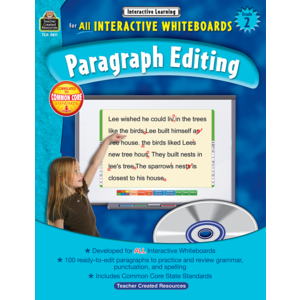 ELA.RF.2.4a: Read on-grade-level text with purpose and understanding. ELA.RF.2.4c: Use context to confirm or self-correct word recognition and understanding, rereading as necessary. ELA.L.2.1f: Produce, expand, and rearrange complete simple and compound sentences (e.g., The boy watched the movie; The little boy watched the movie; The action movie was watched by the little boy). ELA.L.2.1b: Form and use frequently occurring irregular plural nouns (e.g., feet, children, teeth, mice, fish). ELA.L.2.1d: Form and use the past tense of frequently occurring irregular verbs (e.g., sat, hid, told). ELA.L.2.2a: Capitalize holidays, product names, and geographic names. ELA.L.2.2d: Generalize learned spelling patterns when writing words (e.g., cage -> badge; boy -> boil). ELA.L.2.2c: Use an apostrophe to form contractions and frequently occurring possessives.